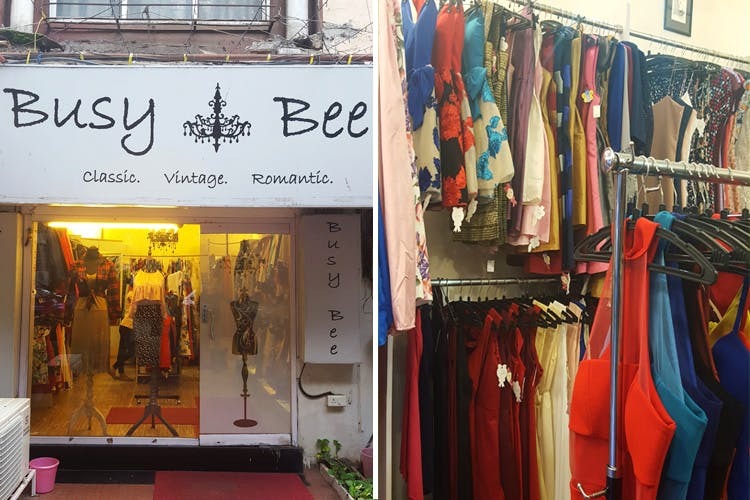 If you’re a shopaholic, you must already know about Busy Bee Boutique in Koregaon Park and we’re sure you’re going to be thrilled to know that they’re now doing customised dresses! Formerly in Lane 7, now in Lane 6 – Busy Bee has been a popular go-to for the city’s fashionistas since 2011. From party dresses and pageant gowns to casual tops and formal blouses, Busy Bee has an outfit for every occasion – and if they don’t, you can now have one made. Shop owner Sanjana Ghosh knows style – and now she’s just introduced custom-tailored clothing at Busy Bee! All you need to do is bring in a photo of the outfit you want tailored, let them know your budget, and come in to give your measurements. Make a copy of your favourite dress, create the perfect fit for when you can’t find the perfect size, or simply treat yourself to a gorgeous gown because you deserve it! The budget is flexible, and can be worked out according to the style of the outfit, fabric, and sizing. Starting as low as INR 700 for a basic cotton tailored top, Sanjana can help you create the look you’ve always wanted. Be on-trend with the latest fashions AND get comfort and customisation in one stylish package – honestly, it sounds like a steal to us!